The 46± acres consist of 5 noncontiguous tracts. All tracts are offered for sale as a package. They will not be sold separately. 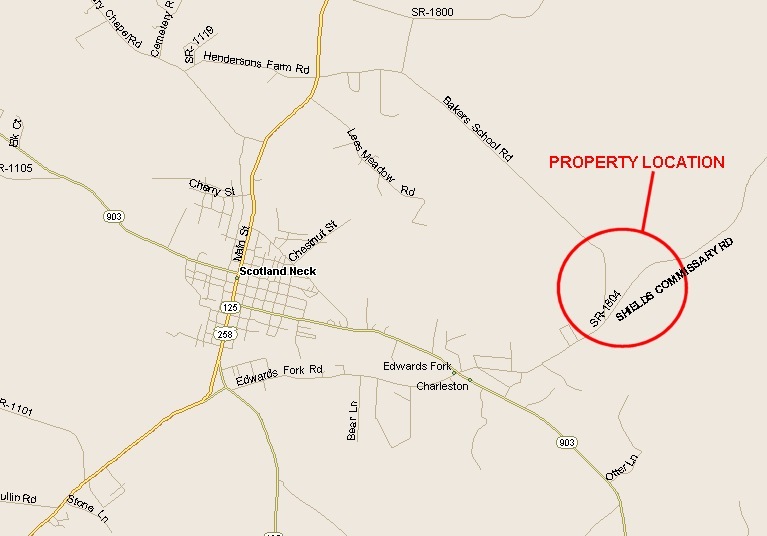 The tracts are the following sizes: 1 ac lot, 5 acres, 7 acres, 13 acres and 20 acres. All have road frontage except the 5 acre tract which can be reached from an old farm road (no deeded access). The largest tract contains mature timber along the Keehukee Swamp, which is only 4 miles up stream from the Roanoke River. All tracts have old fields that have been out of crop production for a few years. Grasses and small pines have grown up in these fields, but could easily be bush hogged. From Rocky Mount, take Hwy 97 north to Lawrence. At Lawrence, take a left onto Hwy 258. Follow Hwy 258 to Scotland Neck. In town, take a right onto Hwy 903. 1.5 miles, turn left on Shields Commissary Rd. 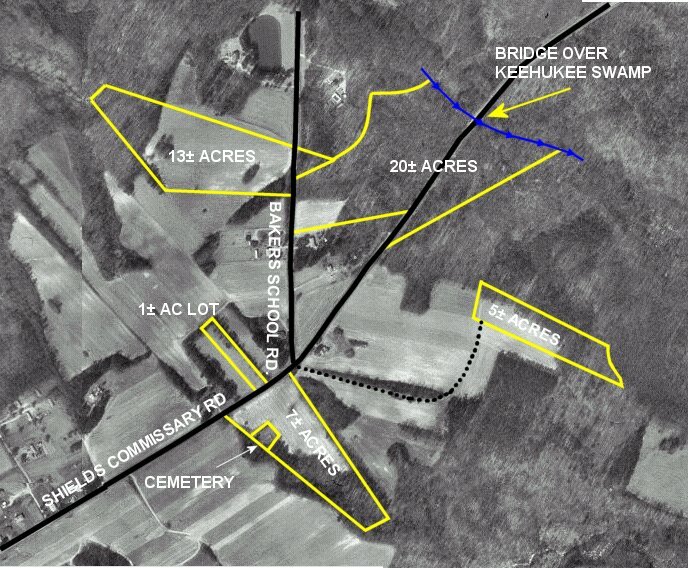 Property will be at next intersection. Signs on 20 acre parcel and 7 acre parcel. Call listing agent for more details. Residential development, horse farm, hunting and recreation. The majority of the timber was harvested in 2000 and replanted in 2001. 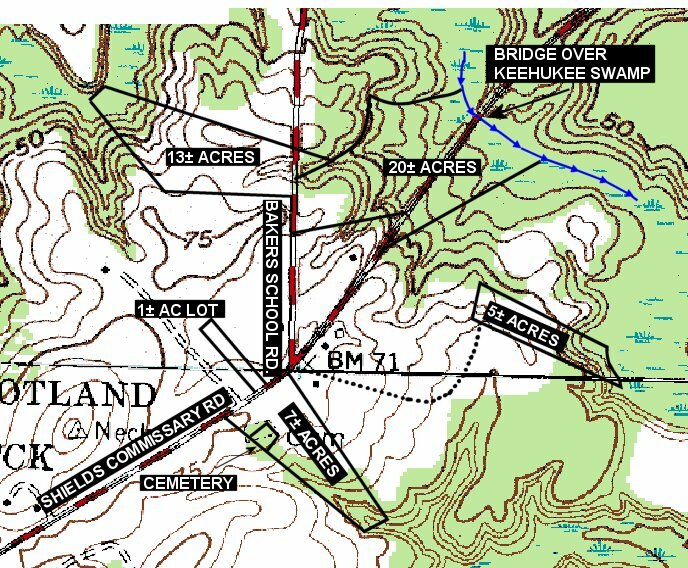 Approximately 5 to 10 acres of mature hardwood was not harvested within the bottomland along Keehukee Swamp. Copyright ©1996-2006 Carolina Forestry, Inc.